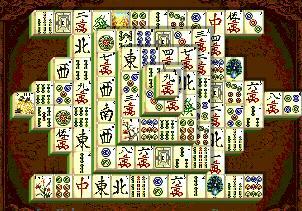 Shangai Dynasty is mahjong game where you have to remove all the tiles. Choose your level by selecting "For Kids" or "Shangai". Click on the same tiles to remove them. You can only remove those tiles which are not blocked from the left and right.